Look who showed up in our backyard this morning. 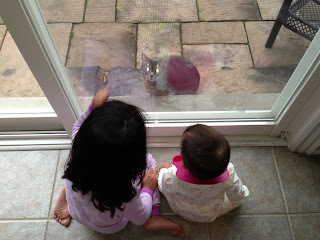 Both girls were so excited to see him.... They obviously did not inherit my extreme fear of felines!